Farage on UKIP’s future: After Brexit, who cares? 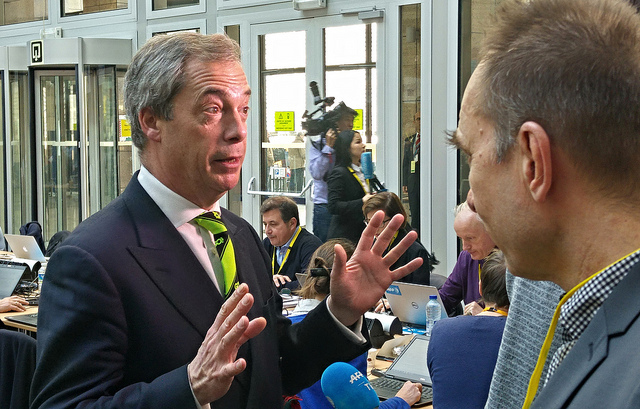 Nigel Farage told euractiv.com that UKIP’s role after the UK referendum on Europe was to ensure there was “no backsliding or betrayal” on the vote to Leave. But he refused to say if he would dissolve his party, born as a single issue campaign, after Britain quits the EU. Nigel Farage is leader of the UK Independence Party and a member of the European Parliament. He spoke to euractiv.com News Editor James Crisp at the European Council held in Brussels to discuss the UK referendum. You can listen to the interview on Soundcloud, or read the transcript below. Fantastic I can hardly believe it. I hadn’t realised actually how seismic it was until I got here and saw the reaction this morning. It has had a seismic effect on British politics, but it may well have a seismic effect on European politics, too. What’s your message to the European people? To the European people, well I think we’ve done it, we’ve shown that the little people can win. I do not think for a minute that we’re the last country that will leave the European Union. In terms of the negotiations, the message that I tried to put in the European Parliament but was roundly abused for doing so, was “let’s try and be grown up about this”. If this was a tariff barrier erected between the United Kingdom and the EU, it would hurt them far more than it would hurt us. Hundreds of thousands of German car workers could lose their jobs if they don’t get tariff free access to the UK market. Could Brexit lead to proper European reform? I don’t think this project understands the word reform. I think they are so hell-bent with their EU-nationalism, their project of building a state, they are hell-bent on an army, on an activist foreign policy. I don’t think they are going to learn anything from Brexit. Was the campaign too focused on immigration? It was criticised for being racist. Well, it’s the number one issue in British politics. It has been for about six years. The reason is the impact that irresponsible, open-door immigration has on wages, accessibility of schools, GP services and all of those things. There’s been racist attacks in recent days. It’s been horrible. It’s horrible on both sides. We’ve got a country of greatly heightened tensions. I’ve always condemned behaviour like that and I will go on doing so. [Other reporter] Are you planning to resign? I am not going to resign until Britain leaves the European Union and then I will resign. Don’t forget I am the turkey that voted for Christmas last Thursday (23 June). What’s the point of UKIP now? The point of UKIP now is to make sure that the wishes of 17.5 million people are actually carried out, to make sure there is no backsliding and there is no betrayal. So you won’t dissolve the party when we do Brexit? Once we do Brexit, who cares? I got into politics to get my country back as an independent sovereign nation. That is what I care about. I was over the moon last Friday morning (24 June) when the results came in. I’ve been a little bit nervous in the last 24 hours, because I’ve seen some senior figures on the Leave side who appear to be backsliding. Yeah, well if they do, I tell you there will be even bigger political ramifications than we’ve seen already. [Other reporter] Is the Norway option acceptable? No, we didn’t vote for that. We did not vote to be part of this outdated cartel that is called the single market. We voted to be free of it, to stop regulating the 88% of the economy that does not export goods to the European Union. To access the single market, you have to accept the supremacy of the European Court of Justice. 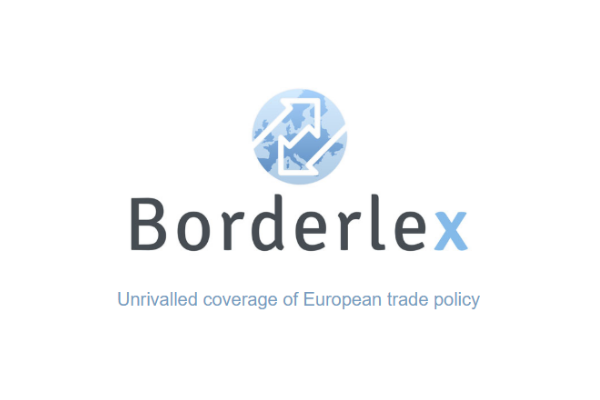 Any country in the world can access the single market. There is some nonsense talked about this. The question is on what terms can you access it. If things went badly and there was no deal, no deal is better than the deal Britain has currently got. There are no losses for us in any of this. But if we do go back to tariff barriers between the two of us, it’s the EU that will hurt more than us so it doesn’t make sense. So I hope we can all be grown-up, pragmatic and sensible and reach a tariff free deal between us and the EU, that would be the best option for everybody. UKIP will carry on as a political party in Britain, many voters are sick of the current two party system of Labour and Conservatives and want more choice in their political views represented. Currently the Liberal Democrats are unelectable and were destroyed by Nigel Farage in his two live on air debates on LBC with the then leader Nick Clegg in the run up to the last general election as Clegg openly lied or attempted to blag his way through the questions put to him. Britain needs another strong party to hold to account both Tory and Labour claims and to fight them both using the one thing they both fear, HONESTY! Everything Nigel Farage has stated would happen, has happened! As for ridiculously spiteful claims from Labour that UKIP is a racist party, have been proven wrong time and time again. UKIP is neither a far right party as it is more centre lined than either of the two other party’s. Labour along with the EU have practiced and promoted political correctness in Britain for many years which has had an adverse and detrimental effect on its population regarding the understanding of racism. So much so that people were afraid to even mention anything to do with criminal acts, especially in Rotherham where white children were groomed and sexually abused by Muslim paedophiles and where Rotherham’s Labour Controlled Council members and its Labour Police and Crime Commissioner were too afraid to do anything and covered up the crimes for fear of being called “racists”! The Tories Tricked their way into Government by promoting the Idea of an Scottish National Party and Labour union to form a government which cleverly stopped UKIP from wining seats however 4 million people voted UKIP and the party is now attracting more members daily! 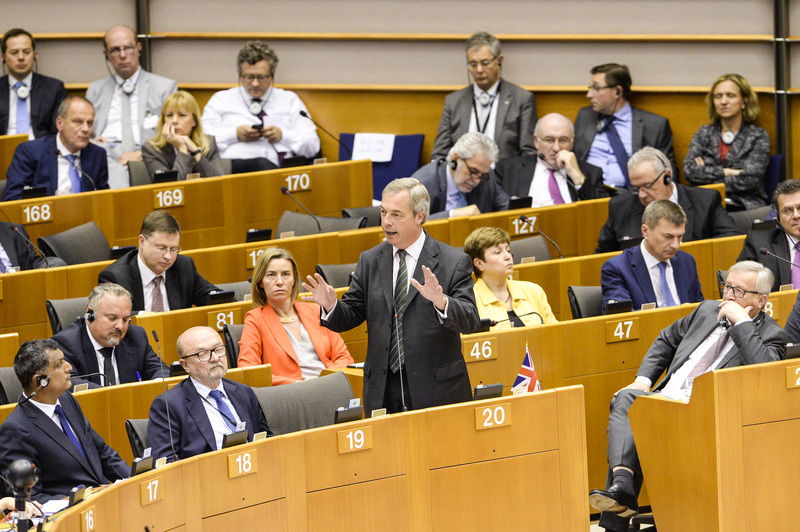 Nigel Farage has not only by his efforts of great leadership and oration, as he’s probably the best political orator in Britain today, caused the biggest change in British politics since the end of WWII but has single handily changed the face of European politics also with many EU countries calling for referendums also. UKIP still has a long way to go to get a fair deal for the British public as Labour once the Champions of the workers have lost their way. UKIP is made up of both former Labour and Conservative voters with a sprinkling of former Lib Dems which give it the best of all worlds when it comes to Policies. A read of UKIP’s 2015 Manifesto will prove that. Even David Cameron has used many of UKIP’s policies over the last year, watered down versions of course so that they don’t look too UKIP! UKIP fight with honesty and put their country above monetary gains, unlike many MP’s from other parties, who cant handle or fight honesty or honestly, which is why they spread lies and innuendo about Nigel Farage and UKIP. One day soon you will see a renaissance in the Mother of Parliaments with a UKIP government and Britain will once more be Great Britain and respected throughout the world. Nigel Farage should be on the Brexit negotiating team for now or he should be available to keep the Conservatives honest.. His skills are immeasurable. Little englang can keep this ignorant clown for themselves. Wake up comrade! First humanity was conned into believing the church and royalty ruled us by “Divine Right”, or god’s will. We revolted. Then we were told that others could outright own us through slavery or as Indentured servants (a means of staying alive under duress). We revolted. And now they have usurped out republics and democracies in a manner that made us appear to be freemen but nonetheless slaves. We Are Revolting Again On Both Sides Of The Atlantic! The economy prosperity should work towards the happiness of the people in an environment of equal opportunities. There should be an equilibrium. Not only work for living or only living to work, that’s what I think. This Farage is a repellent xenophobic and a liar creature that incite people hatred against other people. You cannot achieve happiness and peace through hate. Farage is to be hero worshiped. He is a man of vision and skillful at overcoming adversity. Xenophobe is a pathetic word used by Marxist. It is as impotent as is the use of the word ‘populist’ which is another code word also used by Marxist. May I ask , why do you hate democracy ? Dear Mr. Farage, thanks for your quotes, makes your sort of thinking much clearer! BUT: you´ve shown “liitle people that tehy can win” ? Win what exactly, please? –	Growing prices in the brits preferred holiday destinations? Did you ever tell the “little people”? What´s about the future of young brits you have robbed their future? I don’t think that with support around 4.5 million… for Ukip that if they do disband… where do the 4.5 million or so vote’s go .. ? we have all just seen how a million plus votes make a real difference. it took the UK out of the EU… shock horror so 4.5 million just disappearing is not going to happen. how Ukip go’s followed is yet to be seen.